If you’ve ever finished a workout and wondered if it actually did you any good, you’re not alone. It’s a common perception that good workouts must leave you shaking and sweaty, according to a new survey published in the journal BMC Public Health. Many women reported that physical activity only “counts” if it’s high intensity, performed for a certain length of time, and done at a gym. But it turns out that’s not entirely true when it comes to what actually makes a good workout. “Most people still believe older exercise recommendations and haven’t internalized the updated ones permitting less intense workouts,” explains study author Michelle Segar, PhD, MPH, motivation scientist and director of the University of Michigan’s Sport, Health, and Activity Research and Policy (SHARP) Center. And since many people might be deterred by intense workouts, this can keep them from exercising consistently or even starting a program in the first place, she adds. So if it’s not the intensity of exercise, what actually makes a good workout, and how do you know if you got one? First and foremost, remember that anything is better than nothing at all, Segar says. Then, you can look at how it makes you feel both physically and mentally. Use the list below to get a better idea of how your last session rates. You don’t have to check off every single one of these boxes, but if you can relate to a few of them, then odds are you had a “good” workout. As the women in the survey demonstrated, the first thing most of us use to size up our activity are physical signs. This isn’t a bad thing, and it’s pretty easy to do — but you want to remember that all of this is individualized. “A ‘good’ workout is really dependent on what your goals are,” says Jill Kanaley, PhD, an exercise physiologist at University of Missouri. “If someone is overweight and finally gets out to do something, that’s a good workout.” But that person’s goals are very different from someone who’s in their 20s and works out regularly. Keeping that perspective, consider these four factors to help you rate your workout. Consider if you’re challenging yourself physically. This doesn’t mean adding 20 pounds to your deadlifts or running an extra mile every single workout. Even little steps can help your body improve over time. Say you normally bench press using 20-pound dumbbells, and today you used 22.5s. That’s a “good” workout. Or, if you typically run three miles and today you walked an extra half mile, that’s a “good” workout. “The extra amount you add doesn’t need to be at a super high intensity,” Kanaley says, and you don’t need to increase your weights or mileage every single workout. But when you hit a point when your norm feels easy, that’s when it’s time to strive for more in your workout routine. 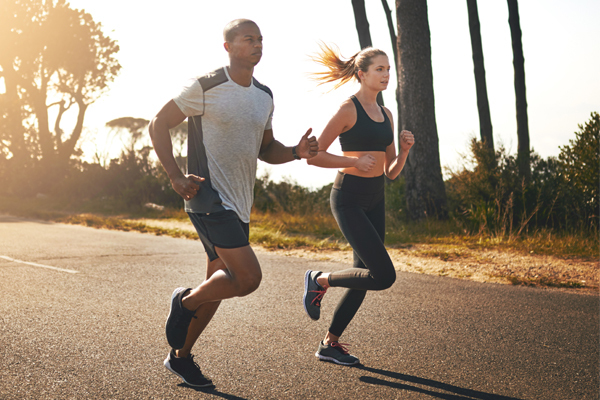 Although some people love to feel exhausted after a workout, you should actually feel more energized when you’re done, says Jamie Shapiro, PhD, professor of sport and performance psychology at University of Denver. Otherwise, it might mean you’re pushing yourself too hard. Getting your blood pumping can even stimulate your brain and help you wake up. Something as simple as going for a walk can help boost your creativity and get you out of an afternoon slump. If you finish a sweat session and feel like you can take on anything life throws at you, then mark that as a sign of a good workout. Real talk. How hard did you work today? To decide, many fitness experts recommend using the Borg Rating of Perceived Exertion scale, which goes from 6 (no exertion, like watching TV) to 20 (maximal exertion, like sprinting up a steep hill). To rate your effort, think about questions like these: Could you hold a conversation for the duration of the workout (up to about 13 on the Borg scale), or were you breathing hard enough to make talking difficult (15 or greater on the scale). Be honest with yourself to find your RPE. Twelve to 17 is the sweet spot for most workouts. If you like to crunch numbers, tracking your heart rate with a heart rate monitor can provide something a little more concrete than your RPE. Start by finding your estimated maximum heart rate. The American Heart Association suggests doing this by subtracting your age from 220. If you’re 35 years old, 185 beats per minute is your maximum, which you’d likely hit at an RPE of 17 on the Borg scale, for example. In addition to the physical signs of good workouts, there are also several psychological signs that indicate you’ve had a good workout. These can be a bit harder to measure compared to the more clear-cut physical signs, but they’re just as important. Rate how you feel after your activity compared to how you felt before to decide if you had a good workout. Physical activity of any level — from walking to HIIT — is linked to higher levels of well-being. “Exercise causes negative moods to decrease and positive moods to increase,” Shapiro says. Most researchers credit endorphins, the feel-good chemicals that are almost like morphine, with the mental shift. So take note to see if you feel better mentally after your cooldown than you did when you started your warm-up. If the answer is yes, then you can count that as a win. Reduced stress is another big benefit of exercise that has been supported with research, Shapiro says. Considering that stress levels are continuing to increase for Americans, it’s helpful to have a form of release. 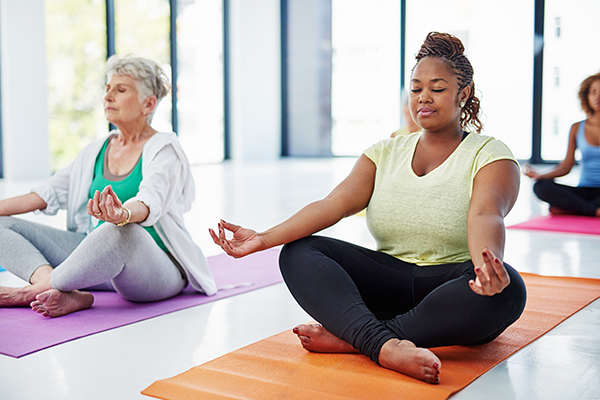 You might find that a solid sweat session decreases your stress level, but even something as simple as meditative breathing can help. It’s also been shown that yoga can significantly reduce stress. The next time you have a particularly hard day at work, try a few yoga sequences to unwind. Sometimes we get so caught up in numbers that we forget that physical activity should be fun. “To make exercise stick as part of your lifestyle, you want to find something you enjoy,” Shapiro says. Rather than dreading your workout and hating every minute of it, you should look forward to it. You don’t have to love doing every single rep of burpees, but good workouts are ones you liked overall. It can be fine to take a mental break while you exercise, like watching TV on the elliptical or planning dinner while you’re doing bench presses. But that can often lead to just a so-so workout. Focusing on the mental part of a workout can lead to a greater feeling of accomplishment, and it can lead to better results physically, too. Improving your mental strength can help you push harder and focus on using correct form, which can help you achieve more results in less time. Connecting to a workout mentally can also reinforce your commitment to working out, which ultimately helps you progress toward your goals, Shapiro says. Just like a “good” workout doesn’t need to be intense, it also doesn’t need to hit every single factor on this list. Checking off even just one — say, you had fun — can mean it was a great session. A “good” workout is one that gives you what you need on that particular day, whether that’s stress relief or the proud feeling of lifting more than you did last week. But if you constantly feel “eh” about your workout routine, you’re not pushing yourself, and you’re not mentally present, it may be time for a change in the activity, says Kanaley. Check out the Beachbody On Demand library with more than 40 programs to find something that sparks your interest. This guide can help you pick a workout plan that meets all your criteria, so you can feel confident you’ll have good workouts time and time again.